Shortly after our Moscow’s “Schism” No More than a Publicity Stunt? went to press earlier today, one of our readers brought the following brief report to our attention. It serves not only to confirm our impression that Moscow’s “schism worse than 1054” is no more than a publicity stunt, but Patriarch Kirill’s reference to St. Panteleimon’s as “our” monastery chillingly reinforces Moscow’s oft repeated conceit that Russian-speakers anywhere in the world fall somehow under its “protection”—even though Mount Athos in its entirety lies within the immediate, direct jurisdiction of the Ecumenical Patriarch. 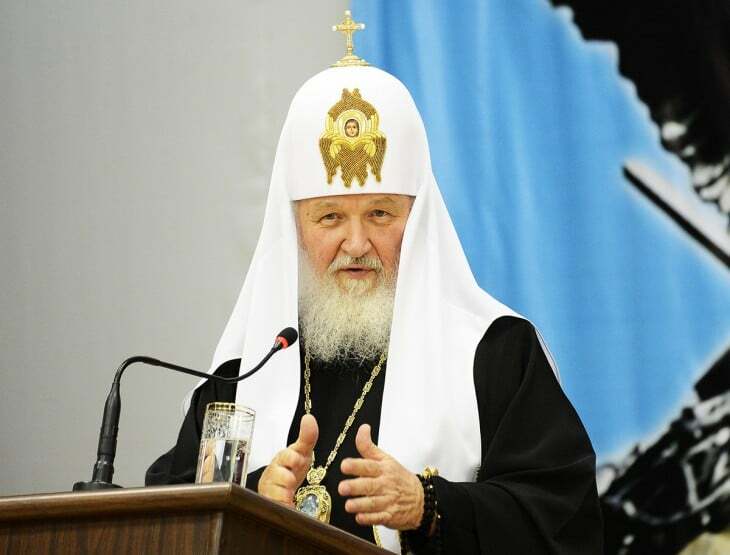 During the clergy meeting of the Diocese of Moscow which took place on December 21, 2018 in Christ the Saviour Cathedral’s Hall of Councils in Moscow, a priest asked Patriarch Kirill if it was possible or not for him to commune on Mount Athos. Let us recall that the Holy Synod of the Russian Orthodox Church had decided to forbid the laity to commune in churches dependent on Constantinople. is located under the canonical dependence of the Patriarch of Constantinople. When people ask me this question, I certainly bless pilgrimages to all [Athonite] monasteries. But I do not bless participation in the sacraments in the [Athonite] monasteries; and this, in principle, extends to our monastery [emphasis ours] [of St. Panteleimon]. However, to extend this prohibition mechanically to this monastery would weaken it [the monastery] in the first place. Now St. Panteleimon’s Monastery is the least responsible for Constantinople’s dangerous actions. Thus I consider that in our monastery [emphasis ours] [of St. Panteleimon], Russians may have access to the sacraments by way of economia—i.e., pastoral condescension. This report appeared originally in Russian on December 24, 2018 at RIA Novosti, and in French translation by Father Levalois on December 28 at Orthodoxie. Translated from the French for Orthodoxy in Dialogue by Giacomo Sanfilippo. Father Christophe Levalois is a French priest in the Archdiocese of Russian Orthodox Churches in Western Europe, professor of history and geography, co-founder and editor-in-chief at Orthodoxie, and author. His most recent book, Le christianisme orthodoxe face aux défis de la société occidentale (Orthodox Christianity and the Challenges of Western Society), appeared in 2018.